Kalypso Media, best known for publishing the Tropico series, has teamed up with developer Games-Farm to put out an action RPG title set within the Norse mythology. Vikings - Wolves of Midgard puts you in the shoes of a Viking or a shieldmaiden as you combat fire and frost giants and try to save the world from utter annihilation. The main campaign will take you from the shores of Midgard to the frozen wastes of Niflheim and the blistering landscape of Balheim. Defeating foes in combat nets you their blood, which you'll collect and sacrifice to the gods for gifts. You'll also be able to specialize in different weapon types, like swords, bows, and spell staves, to further customize your character to be the killing machine you want him or her to be. The campaign is cooperative throughout and will support two player co-op throughout via online play. Local co-op is mentioned on the game's Steam page, though it is not mentioned anywhere else, so we're waiting to confirm that before putting that feature into our database page. 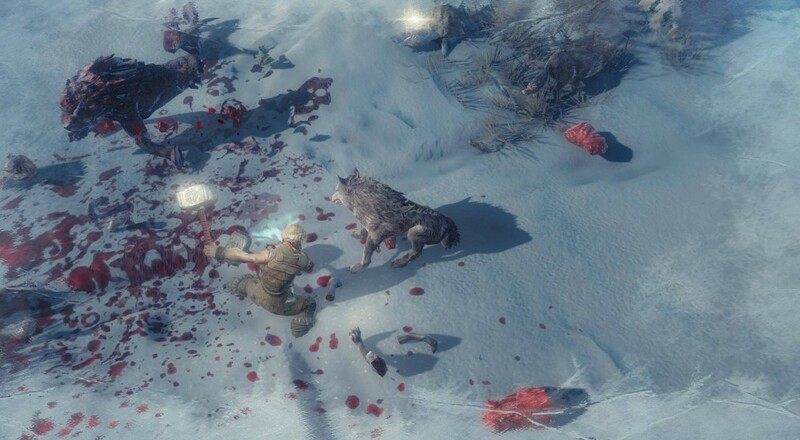 Vikings - Wolves of Midgard will arrive next February for PC, PlayStation 4, and Xbox One. It's available for pre-order via Steam for 15% off. Page created in 1.7688 seconds.